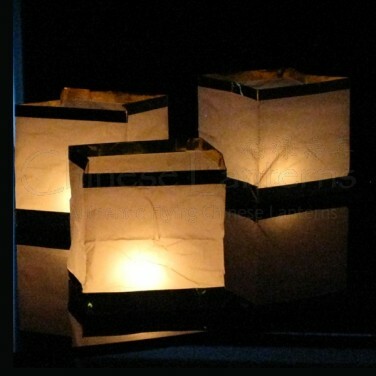 Floating Box Lanterns are easy to assemble, light and float. 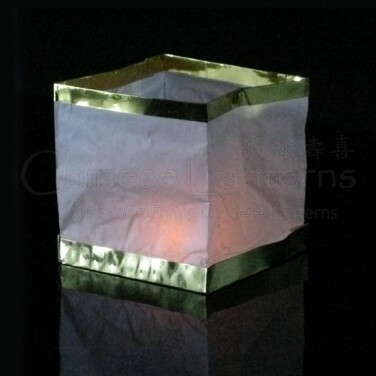 Just unfold the box, light the candle and place it in the middle of the lantern. Each lanterns comes complete with a tealight candle pre-fixed with an adhesive pad so that it can be secured inside the lantern. Made from fire-retardant paper and edged in gold card. Gold and white lanterns look spectacular when floating on a body of water. Note: Floating Box lanterns should not be used in windy conditions. 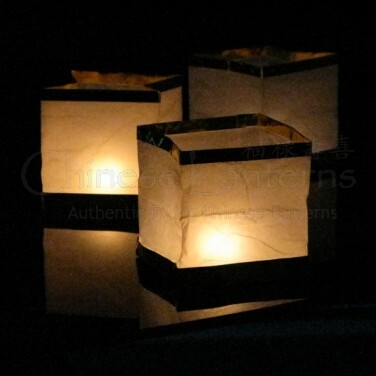 Floating paper box lanterns look spectacular when released into a large body of water. 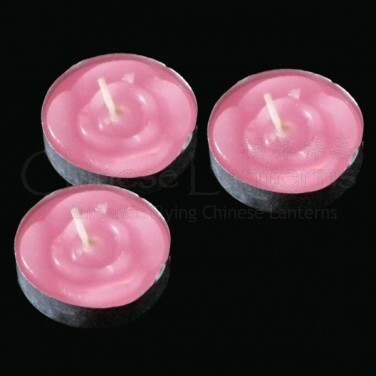 Includes Tealight Candles.